This week at Summervale we’re welcoming the Seth Yacovone Band to the stage. 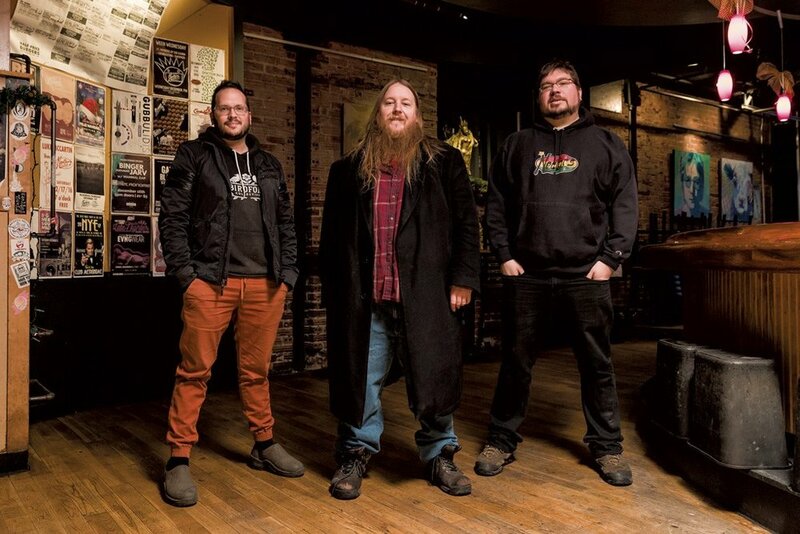 Made up of high-powered blues guitarist Seth Yacovone, drummer Steve Hadeka, and bassist Alex Budney, this band has been a local gem since its founding in 1996. Yacovone began playing the guitar at the age of eight, and has made a considerable name for himself in Vermont and New York; as a solo performer and with his band, Yacovone has brung powerful blues and rock to about 2,500 gigs in the last 20 years. We look forward to rocking out with this group on Thursday! So I have to ask about your famous performance with Phish in 1998. Can you tell me the story about how you ended up on that stage? To try to make a long story short, I had been in an Advance Music guitar contest in 1996 where Trey Anastasio was a judge and liked my playing a lot. Fast forward till 1998, I went to see Phish in Albany, NY, read my ticket stub wrong, sat in the wrong section, ran into Kevin Statesir who brought me backstage. That night Mike Gordon told me they were talking about having me sit in. I just thought it was a great compliment, not expecting it would actually happen. A few days later I got a phone call from Trey asking me to come to Worcester and sit in with the band and play Layla and my original song "All the Pain Through the Years" that I had played at the guitar contest back in 1996. It was a great honor, incredible experience and a dream come true. You took a pretty long break from releasing music in the mid 2000's, how has your process and/or music after this hiatus been different? The break from releasing music really came down to being able to afford to release music along with a disillusioned feeling with the move away from physical music releases to downloads. Luckily getting Seth Yacovone Band going again made me want to capture and share with others what we've been up to. The band on a whole is a bit more rock than blues-rock or blues like we've played in the past, not that we don't still play blues, blues rock. I feel like time and life has influenced our songwriting and playing as well. When SYB first kicked off I was 16 years old, now in my late 30s, it is only natural our music would shift as well. Tell me about a memorable gig you guys have played in the last couple months. We had a great gig at the Rusty Nail in April, it was during a typical late Spring Vermont ice storm, usually a recipe for light attendance. Thankfully a bunch of our die-hards from around New England had already driven up and we had a great night, really clicking on our improvisations and compositions and connecting with the audience. What are you looking forward to about performing at Summervale? I look forward to Summervale for a lot of reasons. I've never actually been to the Intervale and I have heard it is a great space to play some outdoor music. We also tend to rarely play in Burlington in an all ages, early evening setting instead of being indoors at midnight somewhere. So it will be great for folks with kids and early mornings to get a chance to check us out.